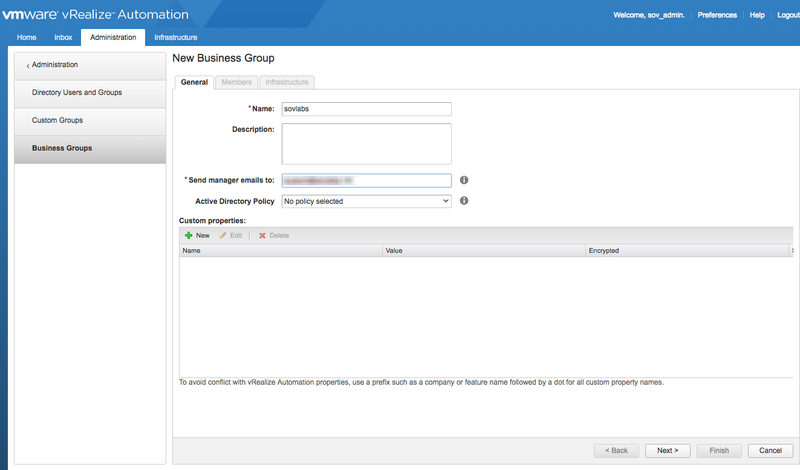 Creating a SovLabs-specific vRA Business Group allows entitlements and ownership of SovLabs content to be confined to its own group. It is especially beneficial in environments which will eventually allow end-users to request their own VMs (self-service) and perform Day2 operations. This is less of an issue for POC or development/trial instances. 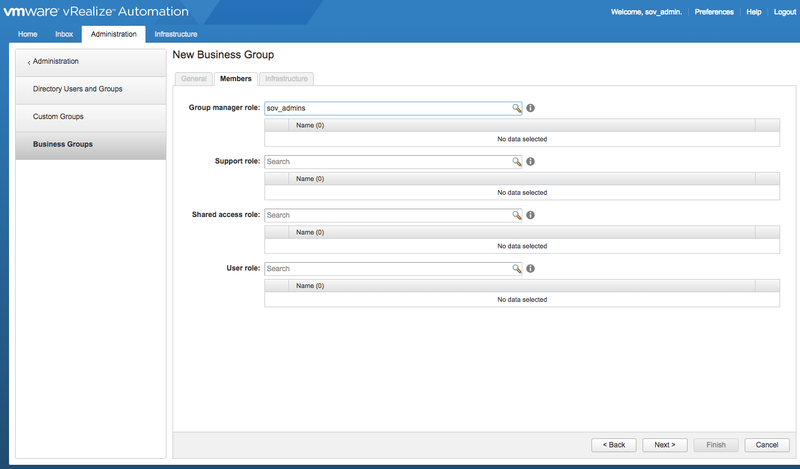 vRA Console Create a vRA Business Group with the name sovlabs. This Business Group is used for ownership of the SovLabs Service. It does not need any reservations configured. 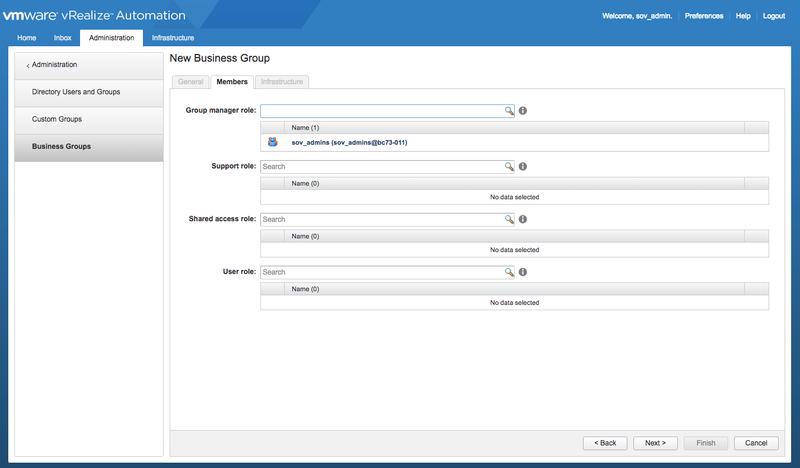 If you are an advanced vRA user and you already have a group, please note the desired business group for future purposes.